48.3 miles in 2 days. Done. Double Cousins. My Double Doubles. June 2015 R2R2R. 48.3 miles in 2 days according to the GPS, 20,000 feet elevation change, 100+ degrees. This post is a little late for several reasons, most of all because I’ve been recovering from the trip (! ), work (!! ), and a mini-stroke concussion (!!!) of sorts. 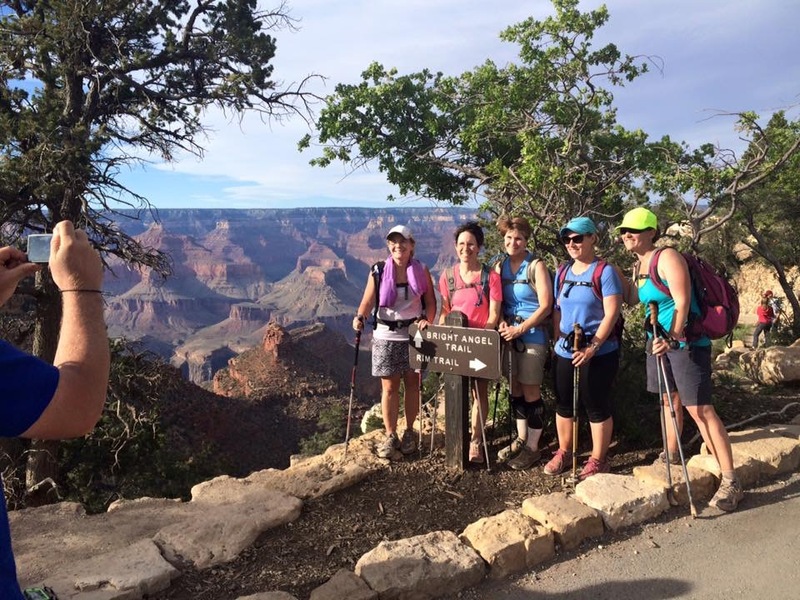 Our R2R2R 2015 hike was a success. 24 people in our group, no injuries, no problems. Everyone had the right gear and training. In many ways it was my best hike since 2004 as far as no blisters, no lost toe nails, no extreme fatigue beyond normal cardio and high altitude stress, little soreness the next day (no “Kaibab Shuffle”), taking the Ribbon Falls Shortcut (inner canyon moral booster), pipeline water was turned on the whole way, and being able to buy a bag of freaking ice at Phantom Ranch. See happy photo attached. 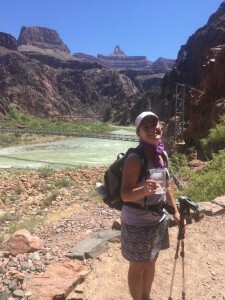 I had a glass of ice on the dreaded River Trail all the way to Pipe Creek, and ice in my Camelbak all the way up the Devil’s Corkscrew (where a tourist died of heat exposure about 3 weeks after our hike, bless his heart – horrible). I felt so good after day 1 South Kaibab to North Kaibab, that I hiked both ways and day 2 was slow and steady but good. We saw A LOT of hikers in trouble this year. 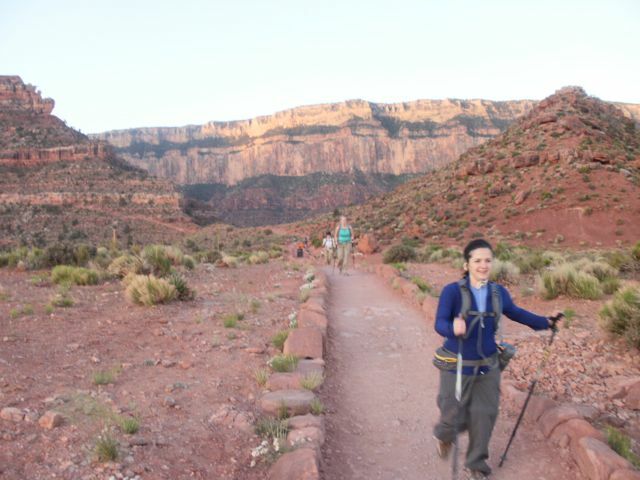 We saw infirm and also out of shape people with heavy packs headed down North Kaibab that we saw 2 days later at Phantom Ranch who were being emergency muled out during the next few days. We saw a husband/wife duo hiking North to South on day 2 of a r2r2r who crashed at Indian Gardens on the way out (wife on top of husband, chest compressions after a cardiac event), we saw an elderly man pass out and slide off a mule train as a passenger right before we started on the Devil’s Corkscrew and I watched the NPS report for weeks trying to see if he was OK – no news. The heat this year – ugh. My pre-canyon heat injury this year was done through training in a high performance wicking tank top make of special fabric cold to the touch for hours – MISTAKE. I only wore it twice and it caused bodily harm. You can’t improve nature’s thermoregulatory system of sweat on skin that evaporates and cools you. Try, and you risk the injury I received. Just do cotton. Sweat like nature designed you to! I tanked my autonomic nervous system, I threw a parasympathetic nervous branch injury/error that made me tired, bloated, sleep like a rock yet was experience non-restorative sleep, and I could not handle the heat. The r2r2r runners were beyond irritating this year. Runners do not have the right of way, folks. Mules do, then hikers. In fact, slow the hell down and be courteous we don’t care if you are trying to beat your own internal not-good-enough-not-fast-enough-personal-best. We have ultra-marathoners and IronWomen in our group and they agree you all look and act stupid. The Grand Canyon sure as hell doesn’t care about your ego (or your ankles as you roll hard and go down like a sack of potatoes). If you are running and passing on the left or right, act like a snow skier, tell the folks ahead of you in a nice manner and show a dash of respect because they have the right of way not you. It isn’t that hard to do. Every r2r2r hike is different and that is why we go back again and again, I suppose. This year day 1 was hard, 17 hours in the ditch. Steady. The full moon set and then it rose again. We stopped often and the heat wiped us out. Day 2 was set at a pace that I had to, after we came up all 17 rungs of Jacob’s Ladder without a break, remind my Ultra-Cousin that we were not all Ultra at all. But then again, what is that? Is that coming up Jacob’s ladder after 40 miles without a crowd cheering you on and no dixie cups of cold water and no chance of a cab ride home? This isn’t an Ultra, this is Arizona in the summer. Even better. What next? Well R2R2R 2016 of course in June 2016. And another week on the Colorado River on a whitewater rafting trip right before that. I must get my canyon fix. Tonight as I hauled the trash cans up the hill I thought “what a great addition this would be to canyon training”. And I realized I was ready to go back, I had not commented since the 2015 trip, and that my brain was totally better. So hike smart and train smarter. Don’t try to improve on nature. 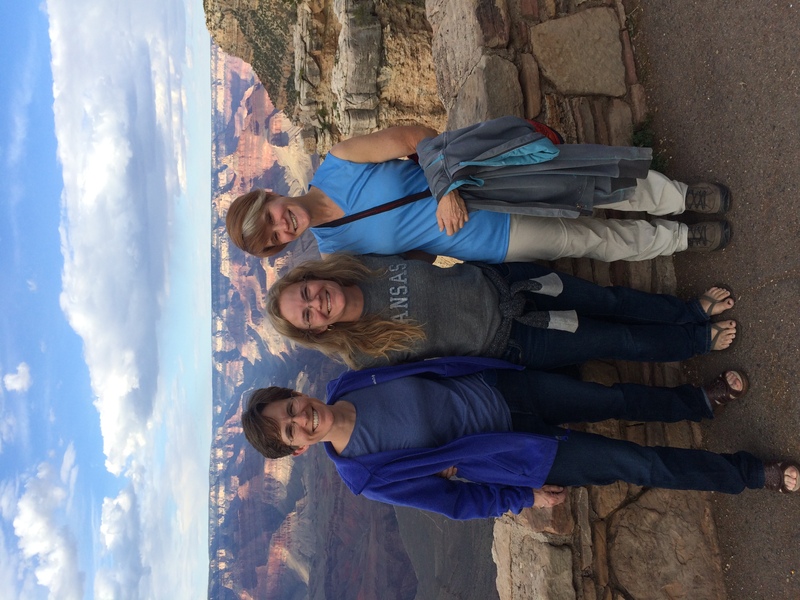 Don’t go hike the Grand Canyon with people who irritate you, make it a positive experience and remember you may need to save each other’s life if you get sick or injured down there. Buy ice at Phantom Ranch if you can. Spend a week on the River if you can. And hike r2r2r as often as humanly possible as long as you leave no trace, be courteous to others, and work to protect this amazing resource. Vote no to mining, no to commercial development, and no to all things that will harm this place. And if you feel that your vote does not count then educate those whose votes do count. 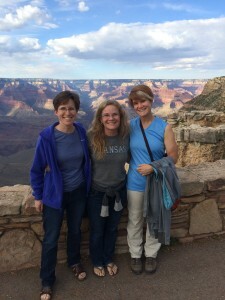 Previous post: Snow on North Rim – on Memorial Day Weekend ! !